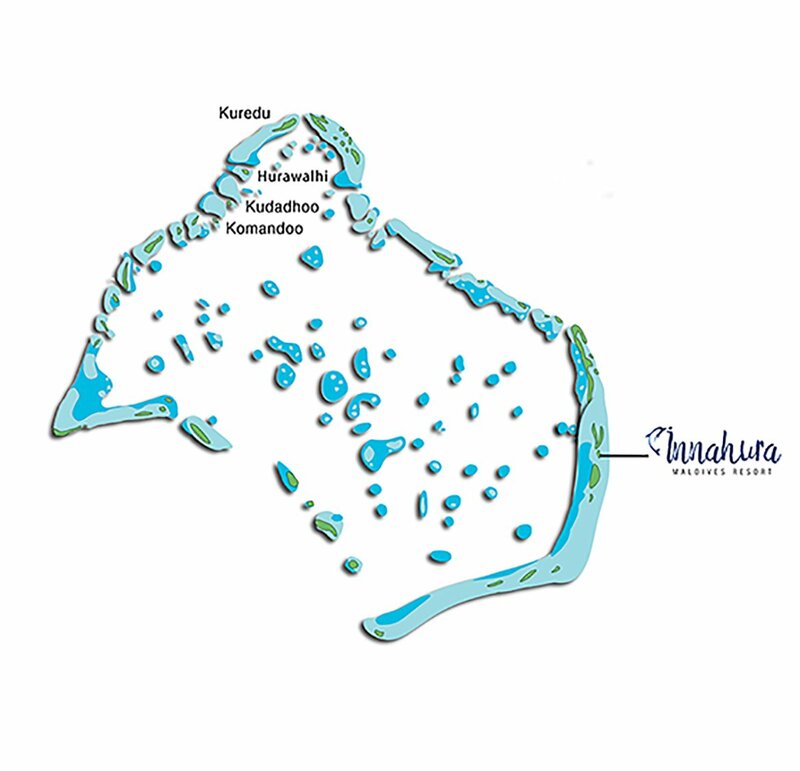 Innahura is located on a private coral island on the south-eastern corner of the Lhaviyani Atoll, sitting amidst an impossibly blue lagoon with the open ocean beyond. The resort can be reached with just a 40-minute seaplane flight from Male with Trans Maldivian Airways. The scenic journey across the North Male’ and Lhaviyani Atolls are sure to be a highlight of anyone’s stay.